Proper maintenance in the fall and winter is one of the best ways to ensure a green spring! How a pre-winter spray can give you a great looking spring! If your shrubs and trees had a hard spring and summer—whether it was from pests and diseases, such as fungal diseases, or burrowing insects that damaged fruit trees and other garden plants—you may want to consider dormant winter spray treatments. Dormant spray is an umbrella term that covers treatments such as horticultural oil, which smother hibernating insects—such as aphids, mites, scale—as well as their eggs. 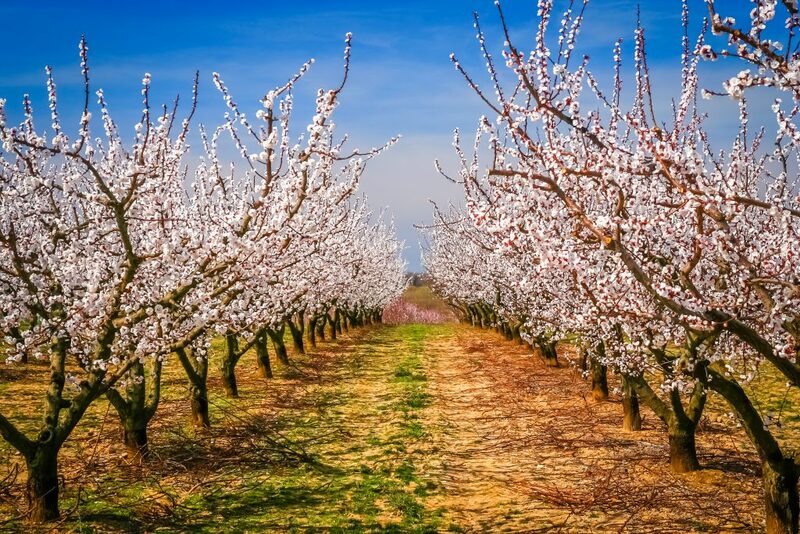 Another type of dormant spray uses either synthetic fungicides or copper and to treat fruit and flower bearing trees and shrubs. This treatment gives your plants a head start into spring. Sometimes, liquid lime-sulfur will be used on smaller fruit plants such as blueberries or blackberries to kill fungus and bacteria. Dormant spray application should be after the growing season, but before the weather drops below 40 degrees. While a pre-winter treatment will suppress spring pests, it may not fully control them. Schedule regular treatments throughout the year may be necessary for the optimal health of your plants. An important step to secure the health of their trees and shrubs that may be forgotten by homeowners, whether or not they choose to treat with a dormant spray is maintaining good housekeeping of their plants. Remove fallen leaves from the base of plants to prevent pests from laying eggs, or hibernating for the winter. The leaves can contaminate adjacent plants, thus hampering success in disease control efforts. An important step to securing the health of your trees and shrubs that is often forgotten—whether or not you choose to treat with a dormant spray—is maintaining good housekeeping of your plants.